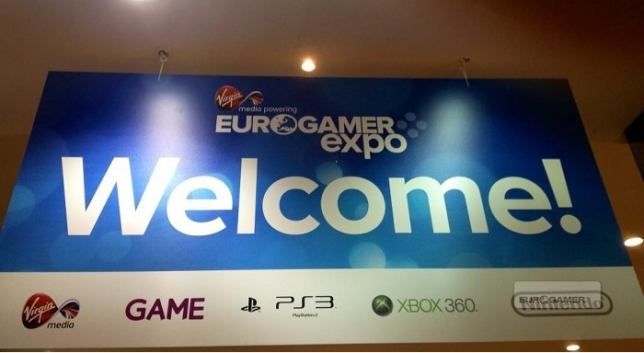 Eurogamer Expo was the first expo that we got to attend and try some upcoming games. I am sure that most people, like me, are curious how games such as Hitman, Dishonored, Company of Heroes 2 or Farcry 3 are settling to be. Well I was lucky enough to get my hands on them and live to tell the tale. To be honest, even though there were a good amount of games running on the PC, most of them were with controllers and felt more like console versions with a narrow FOV (field of view), auto aiming and imprecise mouse controls (mouse smoothing). But these versions were specifically built for the Expo, so it might not represent the final product. But let’s start with the most PCish game – CoH2. Company of Heroes 2 – the next iteration of the strategy game we all love and want to see sooner rather than later. It was just one small level (around 15-20 minutes long), mostly infantry based, calling you to push on through the map to take your next objective. There were no base building or powers like artillery, but it felt like good old CoH and then some. Because the demo was so limited it’s hard to judge the whole game and it seemed more like a really good expansion pack. The snow impacts your traversal so if you want to cut some corners you might lose the tactical advantage because you start moving very slow and it’s easy to pin you down. The flamethrower unit was a great addition, though I’d like it to have either bigger damage or moral impact to the enemy, it looked great while roasting the Nazis. Overall it seems to be shaping up to be a great sequel to the game we love. Dishonored – the game looked to be living up to all its promises and hype. It looked great with many, many ways through the level and supporting lots of play styles. From my impressions, if you were having doubts before pre-ordering – don’t! Hitman Absolution – the game is definitely more forgiving. But have no fear, it’s the only critique I noticed. It can still be played as stealthy as you like. You have tons of options how to take care of your target with run and gun being an option but definitely not a recommended one. FarCry 3 – it suffered from major problems as a PC version with mouse smoothing, a narrow FOV, bad menu navigation, etc. But the game was gorgeous. I got to explore a nice piece of one island and it seems to be very open. The map looked huge with multiple islands and I was told we will be able to travel to any of them from the start of the game. It has some RPG mechanics with looting bodies and crates (similar to FC2 diamonds), gaining XP and unlocking perks. Similarly to FC2, you can buy weapons, but this time you can also upgrade them. The bow looked like an interesting weapon, but it couldn’t do anything that any other weapons could. It had 3 types of arrows: simple for stealth, explosive and burning arrows. They kept the fire mechanics for burning down the jungle, repairing vehicles and the awesome “healing” animation system. The only thing that really caused my concern is the worry that they didn’t learn from the “insta-respawn” enemies from FarCry 2. Grid 2 – This looks to be a natural step forwards. With better visuals, better damage models, new tracks and cars. I did try it on the wheel which was way too sensitive for my liking and ended up spinning out of the track a lot but the game looked really pretty. Crysis 3 – they were only showing the mp. I got to try out the new Hunter mode and I’m not impressed. It needs a lot of tweaks because every time the hunters win, as they have unlimited cloak and it’s practically impossible to see them, while they can shoot stealthy with their bows. The consolified controls didn’t help either but as I said before it might not be an issue in the final version. Visually the game looked very similar to Crysis 2 but just a bit more “clean and clear”. It seemed that they still had the same configuration options as C2 launched with which wasn’t a good sign. The Cave – the new game from Double Fine. It looked great. The visual style reminds of Unmechanical a lot with vibrant colours in a 2.5D space. The controls are simple and puzzles and smart. The humour was really great too. This looked like a really good game to play with your family where they and you would have fun equally. I’m just a bit worried that it might ease down the puzzles as there seemed to be a lot of people struggling with them. There were more games that I didn’t get to try. XCOM was basically the Steam demo; Aliens - Colonial Marines had an mp running which looked really good, the new Medal of Honor also looked pretty, very CoD’ish but still fun; Natural Selection 2 was looking mighty fine and a worthy successor to the first one; Assassins Creed 3 seems to be a significant step forward with Naval battles that bring new layer of gameplay; Hotline Miami – the top down GTAesque game that we needed long time ago; and some others. I was also really happy to see that the Indie space got a lot of attention and most of those games looked like fresh ideas that aren’t afraid to try new things, new approaches and not try to please everyone. Have you been there? Did you wish you were and have some questions? – leave them in the comments. I might have forgotten something so I will update this post if you point that out.